A few weekends ago W and I finally decided to explore Mount Tamalpais! 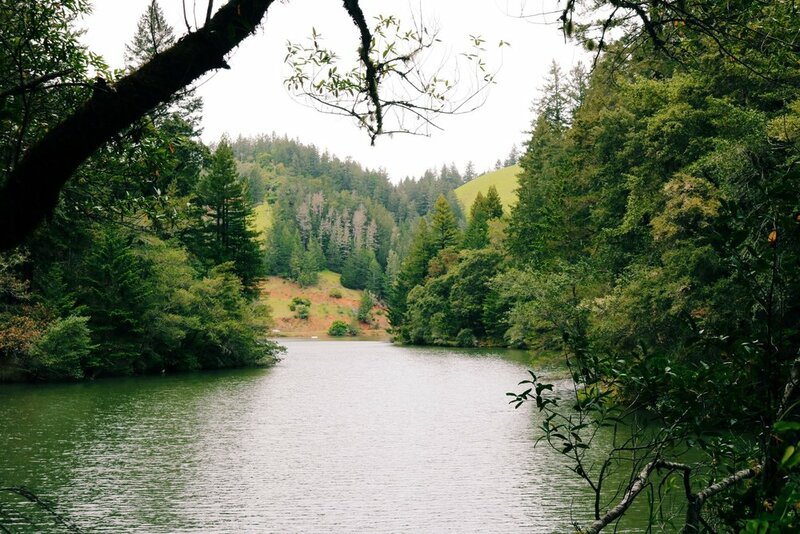 For those of you who are not familiar with Mount Tamalpais (otherwise known as Mount Tam,) it is a gorgeous state park located on the other side of the Golden Gate Bridge in Marin. 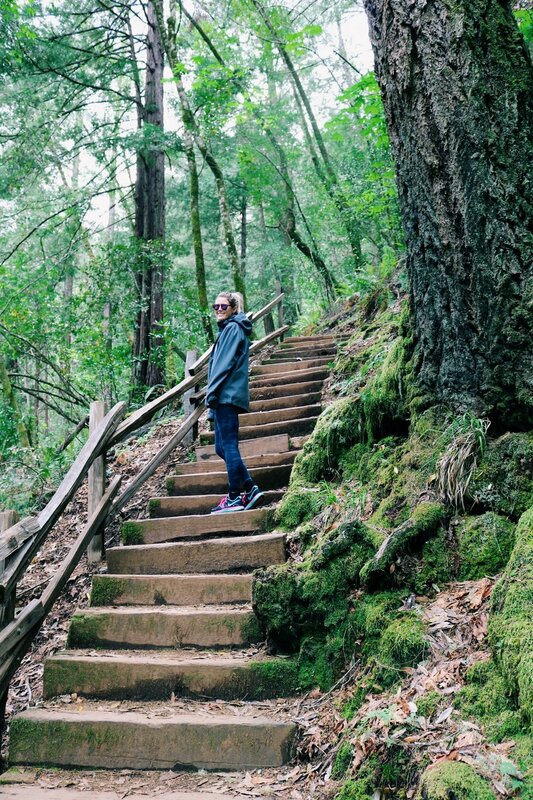 Hiking Mount Tam has been on our SF bucket list for quite a while and we decided what better day to do it than Earth Day?! To be honest, we didn't do too much planning into it besides me saying "Find a trail that isn't too long." There are a lot of trails and some are crazy long (10+ miles!) so W found a moderate trail for us to hike called the Cataract Trail. What's great about this trail is that you can make it as long or as short as you want. We ended up hiking a little over 3 miles which was just perfect for me! I've truly never hiked a more gorgeous trail. There were literally waterfalls around every corner. But I gotta say, thank god it was pretty because otherwise I may of quit a little sooner haha. The trail is a pretty steep incline at times as we were literally climbing up a mountain side! W did his due diligence and decided that we should park at the bottom of the trail (the northern entrance) versus the top (southern entrance) so we would hike up the incline first then go downhill the second half when we're more tired. There were a few people who were doing the trail opposite of us and I could tell they were a lot more tired when we passed them as they were climbing back up to their cars while we were climbing down! All in all I highly recommend this trail just simply for the breathtaking views. It truly left me in awe of this gorgeous world we live in!